1/4 x 2 1/2 x 2 1/2 in. 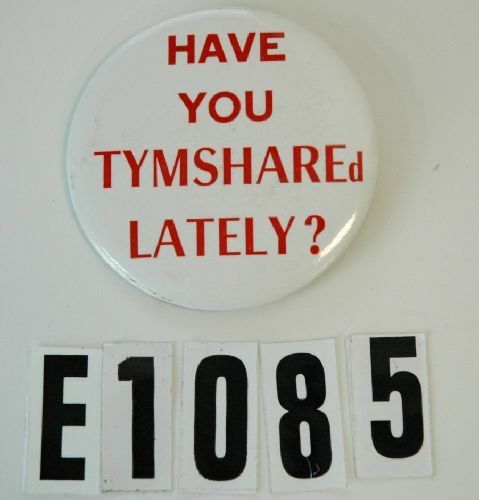 "HAVE YOU TYMSHAREd LATELY?" 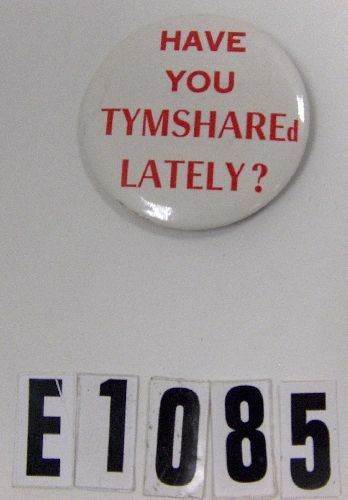 printed on button.